Use the contact form below for after hours/weekend contact needs. 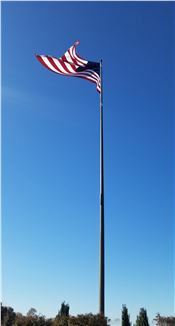 Declaring America’s freedom is a 20’ X 30’ American flag towering daily over the hills of Cape County Park. An inspirational avenue of over 450 flags fly on Memorial Day, Independence Day and Veterans Day at the entrance to North Park. Each flag bears the name of a Cape County veteran. 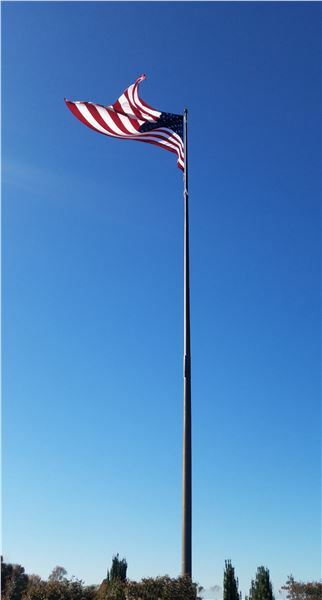 In addition to the iconic large flag is the addition of the Veterans Memorial Plaza. The plaza, supported by individual donors, businesses and volunteers, was re-dedicated on Veterans Day, 2018. The plaza features a granite wall engraved with veterans' names and the Freedom Rock, among other memorials to service men and woman. The plaza is open during regular park hours. Use the map to browse for a particular park and shelter, or use the search fields to find a shelter by date, size and desired amenities.